Bret M. Kesler, 28, of 5480 Gomer Rd, Lima, found guilty of persistent disorderly conduct. Sentence: 30 days jail. 0 days suspended. $150 fine; found guilty of DUS-OVI susp (aj). Sentence: 365 days jail. 305 days suspended. $500 fine. Norman Adams, 45, of 2838 Starling Street, Lima, found guilty of OVI. Sentence: 10 days jail. 10 days suspended. $500 fine. Markel S. Banks, 18, of 420 St Clair, Lima, pleaded no contest and found guilty of DUS-OVI susp. Sentence: 10 days jail. 7 days suspended. $250 fine. Mirissa C. Brown, 25, of 123 W Washington St, Dunkirk, found guilty of possess drug abuse instruments. Sentence: 90 days jail. 60 days suspended. $250 fine. Robert D. Catlett Jr., 66, of 566 Cortlandt Ave, Lima, found guilty of OVI. Sentence: 5 days jail. 5 days suspended. $500 fine. Ellen E. Coleman, 49, of 929 Milburn, Lima, found guilty of theft. Sentence: 180 days jail. 90 days suspended. $150 fine. Charity R. Dumm, 33, of 602 Cornell Dr, Lima, found guilty of theft. Sentence: 180 days jail. 0 days suspended. $150 fine. Aron R. Flowers, 21, of 25974 Continental Circle, Taylor, Mich., found guilty of unauthorized use of property. Sentence: 10 days jail. 10 days suspended. $250 fine; found guilty of obstructing official business. Sentence: 10 days jail. 10 days suspended. $200 fine. Padro A. Floyd, 21, of 531 Brower Rd, Lima, found guilty of obstructing official business. Sentence: 30 days jail. 19 days suspended. $150 fine. Kayla Jordan, 30, of 518 Hope St, Lima, found guilty of OVI. Sentence: 60 days jail. 50 days suspended. $525 fine. Julian R. Lopez, 25, of 534 S Scott, Lima, found guilty of persistent disorderly conduct. Sentence: 30 days jail. 29 days suspended. $150 fine. Miguel A. Melendez, 40, of 620 S Main St, Lima, found guilty of OVI. Sentence: 180 days jail. 157 days suspended. $525 fine. Jennifer N. Moore, 37, of 625 E Eureka Street, Lima, pleaded no contest and found guilty of DUS. Sentence: 3 days jail. 0 days suspended. $150 fine; pleaded no contest and found guilty of DUS. Sentence: 10 days jail. 4 days suspended. $150 fine. Leah J. Sorrell, 37, of 143 S. Spruce St, St Marys, found guilty of persistent disorderly conduct. Sentence: 30 days jail. 30 days suspended. $150 fine. Rasheign W. Tisdale, 23, of 1124 Essex Dr, Lima, found guilty of OVI. Sentence: 3 days jail. 0 days suspended. $500 fine; found guilty of OVI. Sentence: 180 days jail. 160 days suspended. $750 fine. Kirsten M. Watt, 21, of 164 Partridge Pl., Lima, found guilty of criminal trespass. Sentence: 30 days jail. 30 days suspended. $150 fine. Robert T. Bryant, 37, of 1932 E Elm St, Lima, found guilty of obstructing official business. Sentence: 90 days jail. 65 days suspended. $150 fine; found guilty of DUS. Sentence: 30 days jail. 0 days suspended. $150 fine; found guilty of DUS-FRA. Sentence: 10 days jail. 10 days suspended. $200 fine; found guilty of falsification. Sentence: 180 days jail. 135 days suspended. $250 fine. Michelle M. Cartagena, 38, of 1461 Ellison Dr, Lima, pleaded no contest and found guilty of DUS-FRA susp. Sentence: 10 days jail. 10 days suspended. $150 fine. Tamira S. Holley, 19, of 753 Mackenzie Dr, Lima, found guilty of obstructing official business. Sentence: 10 days jail. 10 days suspended. $150 fine. Vergil L. Nance, 48, of 1143 Holmes Avenue, Lima, found guilty of DUS-FRA . Sentence: 10 days jail. 10 days suspended. $150 fine. James S. Parker, 29, of 1820 W Wayne St, Lima, found guilty of physical control. Sentence: 180 days jail. 135 days suspended. $600 fine. Erika R. Parkins, 31, of 310 Calumet St, Lima, found guilty of possess drug abuse instruments. Sentence: 180 days jail. 150 days suspended. $250 fine. Sha’Torrie T. Rucker, 19, of 449 McPheron Ave, Lima, found guilty of unauthorized use of property. Sentence: 30 days jail. 30 days suspended. $150 fine; found guilty of theft. Sentence: 90 days jail. 80 days suspended. $150 fine. Tarissa M. Sanders, 36, of 531 N Kenilworth Ave, Lima, found guilty of physical control. Sentence: 180 days jail. 150 days suspended. $525 fine. Kevin M. Smith, 35, of 4540 East Road, Elida, found guilty of OVI. Sentence: 10 days jail. 10 days suspended. $500 fine. Matthew Stebleton, 44, of 7815 Amherst Rd, Waynesfield, found guilty of resisting arrest. Sentence: 90 days jail. 85 days suspended. $150 fine; found guilty of OVI. Sentence: 180 days jail. 170 days suspended. $525 fine. Nathan C. Straten, 28, of 6061 Pickerel Dr Ne, Rockford, Mi, found guilty of physical control. Sentence: 10 days jail. 10 days suspended. $650 fine. Asia M. Wilson, 22, of 140 E Circular St, Lima, found guilty of OVI. Sentence: 10 days jail. 10 days suspended. $500 fine. Arthur L. Austin, 63, of 218 W Murphy, Lima, pleaded no contest and found guilty of attempt. Sentence: 30 days jail. 30 days suspended. $150 fine. Joshua J. Burden, 30, of 788 S. Metcalf St., Lima, found guilty of no OL. Sentence: 60 days jail. 50 days suspended. $150 fine; found guilty of no OL. Sentence: 120 days jail. 90 days suspended. $250 fine. Brittney M. Cobb, 33, of 747 Ewing Ave, Lima, found guilty of theft. Sentence: 180 days jail. 120 days suspended. $200 fine. Gene R. Devandry, 47, of 2975 Greely Chapel Rd, Lima, found guilty of OVI. Sentence: 5 days jail. 5 days suspended. $500 fine. Taylor J. Frisby, 22, of 303 S Waverly St Apt E, Cridersville, pleaded no contest and found guilty of OVI. Sentence: 5 days jail. 5 days suspended. $500 fine. Jacob A. Garmatter, 24, of 609 Lausanne Avenue, Bluffton, found guilty of physical control. Sentence: 5 days jail. 5 days suspended. $500 fine. Douglas Hale, 52, of 1114 Adams St, Lima, pleaded no contest and found guilty of OVI (aj). Sentence: 365 days jail. 245 days suspended. $1000 fine. Nyema N. Watkins, 25, of 1112 Catalpa Ave, Lima, pleaded no contest and found guilty of stop after accident injur prop. Sentence: 60 days jail. 60 days suspended. $250 fine; pleaded no contest and found guilty of DUS . Sentence: 20 days jail. 0 days suspended. $150 fine. India S. Williams, 26, of 2520 Lakewood Ave, Lima, pleaded no contest and found guilty of OVI. Sentence: 5 days jail. 5 days suspended. $500 fine. Robert L. Bair III, 29, of 80 Laureate Drive, Leipsic, found guilty of physical control. Sentence: 60 days jail. 0 days suspended. $500 fine. Lacy Bowers, 39, of 2575 N Cool Rd, Lima, found guilty of unauthorized use of property. Sentence: 30 days jail. 30 days suspended. $150 fine. Shante N. Hudgins, 29, of 511 N. Elizabeth St., Lima, found guilty of no OL-5th lifetime. Sentence: 60 days jail. 60 days suspended. $200 fine. Anthony McCormick, 47, of 615 N Metcalf St, Lima, found guilty of OVI. Sentence: 90 days jail. 87 days suspended. $375 fine. Chasity Mears, 20, of 2575 N Cool Rd, Lima, found guilty of unauthorized use of property. Sentence: 30 days jail. 30 days suspended. $150 fine. Kevin P. Ridenour, 41, of 6 N Seltzer St, Wapakoneta, found guilty of OVI. Sentence: 5 days jail. 5 days suspended. $500 fine. Ram C. Samaroo II, 40, of 838 North Union , Lima, found guilty of persistent disorderly conduct. Sentence: 30 days jail. 30 days suspended. $100 fine; found guilty of physical control. Sentence: 60 days jail. 60 days suspended. $200 fine. 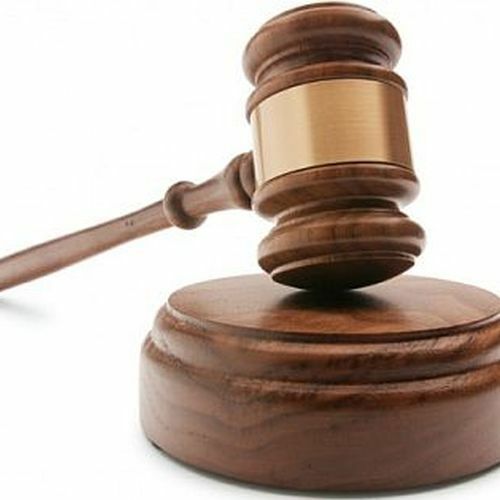 William E. Tracy, 54, of 202 Holland #21, Delphos, found guilty of theft. Sentence: 180 days jail. 180 days suspended. $150 fine. Angela M. Vanbuskirk, 44, of 1620 W High St, Lima, found guilty of OVI. Sentence: 30 days jail. 30 days suspended. $375 fine. Erin L. Allen, 24, of 879 W Murphy Street, Lima, found guilty of persistent disorderly conduct. Sentence: 30 days jail. 30 days suspended. $150 fine. Scott P. Brown, 20, of 604 N. Jefferson, Lima, found guilty of aggravated menacing. Sentence: 180 days jail. 170 days suspended. $250 fine. Brianna N. Bryant, 24, of 110 W 17th St, Lima, found guilty of DUS-12 point susp. Sentence: 10 days jail. 7 days suspended. $200 fine; found guilty of DUS-12 point susp. Sentence: 20 days jail. 17 days suspended. $250 fine. Markita L. Hurley, 33, of 1855 N Cole Apt #20, Lima, found guilty of OVI. Sentence: 5 days jail. 5 days suspended. $450 fine. Johnathon M. Johnson, 25, of 304 Ewing Ave, Lima, found guilty of unauthorized use of property. Sentence: 30 days jail. 30 days suspended. $150 fine. Katlin S. Kerr, 25, of 201 Pilgrim Trl, Lima, found guilty of possess drug abuse instruments. Sentence: 90 days jail. 60 days suspended. $200 fine. Jalisa L. Kitchen, 28, of 740 St Johns Ave, Lima, found guilty of theft. Sentence: 60 days jail. 60 days suspended. $200 fine. Dejuan J. Lucas, 25, of 416 E Albert, Lima, found guilty of DUS-OVI susp (aj). Sentence: 180 days jail. 150 days suspended. $500 fine. Bazil G. Miles, 25, of 547 Monticello Ave Apt A, Lima, found guilty of DUS-OVI susp. Sentence: 10 days jail. 7 days suspended. $250 fine. James C. Ricks, 30, of 740 E Kibby, Lima, found guilty of physical control. Sentence: 30 days jail. 26 days suspended. $500 fine. Kenith Varno, 52, of 531 Brower Rd Apt 195, Lima, found guilty of DUS-OVI susp. Sentence: 180 days jail. 170 days suspended. $250 fine; found guilty of DUS-OVI susp. Sentence: 180 days jail. 120 days suspended. $500 fine. Dakari Wilkinson, 27, of 3 Green Tree Circle, Cridersville, found guilty of DUS. Sentence: 30 days jail. 30 days suspended. $200 fine. Denny L. Bowers II, 34, of 375 W Murphy St, Lima, found guilty of DUS-OVI susp (aj). Sentence: 180 days jail. 165 days suspended. $500 fine. Clifford L. Mayes, 59, of 1309 Pamela Cir, Delphos, pleaded no contest and found guilty of reckless operation. Sentence: 30 days jail. 30 days suspended. $250 fine. Dustin J. Watkins, 36, of 1119 W Wayne, Lima, found guilty of possess drug abuse instruments. Sentence: 30 days jail. 0 days suspended. $150 fine. William C. Young, 41, of 372 County Rd 2233, Cleveland, Tx, found guilty of criminal damaging/endangering. Sentence: 20 days jail. 20 days suspended. $250 fine. Courtney R. Cheney, 26, of 320 1/2 N Metcalf St, Lima, pleaded no contest and found guilty of making false alarms. Sentence: 180 days jail. 170 days suspended. $200 fine. Jazz D. Howell, 19, of 552 N Woodlawn Ave, Lima, pleaded no contest and found guilty of failure to comply with officer. Sentence: 60 days jail. 55 days suspended. $200 fine. Terry L. Jackson, 34, of 1145 Reese , Lima, pleaded no contest and found guilty of theft. Sentence: 180 days jail. 170 days suspended. $200 fine; pleaded no contest and found guilty of falsification. Sentence: 180 days jail. 170 days suspended. $100 fine. Geoffrey E. Swink, 30, of 714 W Main St, Cairo, pleaded no contest and found guilty of OVI. Sentence: 180 days jail. 160 days suspended. $525 fine; pleaded no contest and found guilty of DUS-OVI susp. Sentence: 10 days jail. 7 days suspended. $250 fine. Joshua Swint, 19, of 3431 Providence Circle, Lima, pleaded no contest and found guilty of DUS-OVI susp (aj). Sentence: 30 days jail. 20 days suspended. $500 fine.